work is stellar. Aaron and his team did an outstanding job and I HIGHLY recommend him for your next special event." You were amazing to work with and made us feel totally comfortable and relaxed!! If anyone is having a future event and wants a reference...please PM me. I would be more then happy to share!! 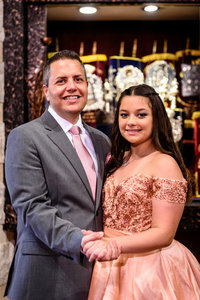 Advice for future Mitzvah moms..the pre-mitzvah shoot is totally necessary to not only have great photos to use at the party but to also develop a rapport with the photographer who should only be Aaron Lurie!! But only if you want the very BEST!" "Omg! Aaron Lurie...you are amazing, energetic, professional and creative!! From very early morning to beyond the bewitching hour you didn't miss a moment or opportunity to capture the action! You were always in the right place at the right time but yet you took the time to capture all the details of the party and decor. "Best photographer I ever worked with. Aaron Lurie you are brilliant at what you do. Thank you for everything!!!" anybody out there is looking for a photographer, I very highly recommend Aaron. He and his team were a delight to work with, they were professional yet non-intrusive and I absolutely could not be happier. 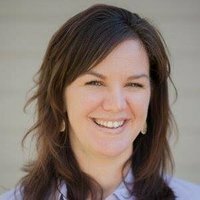 On a bittersweet note, my mother passed away 3 weeks after the B'nai Mitzvah. The joy that my father and I get when we look at her in the pictures Aaron took is priceless. She looked beautiful and happy and I am so grateful that I have these images to remember her by." "Genius! Thank u, Thank u We love each and every wonderful shot of our B'mitzvah event! VMA is giving us and our friends an exceptional way to remember our fondest memories! Thank u for the artistry that you shared with my family!" Aaron is wonderful to work with. He is truly an artist who is very passionate at what he does. He has taken several head-shots and group shots of our company and they have been excellent. images were edited and turned around within just a few days and he captured the event perfectly!!! highly recommend VMA Studios!! You will not be disappointed!" "Words cannot explain how awesome Aaron Lurie truly is! We just celebrated my daughters Bat Mitvah and Aaron was with us every step of the way!!! Clicking a thousand memories that we will cherish forever! photographs You are an artist and you surpassed what I had even hoped for (and I'm Type A)! I highly recommend you to all of my family and friends!!!! Thank you!" mitzvah photos really reflect his talent. Aaron has a very calming presence about him which makes you feel comfortable on one of the most important days of your life. We are so very lucky to have found him. I know we will be using Aaron again in the future to capture our other life moments. We are so glad we chose Aaron to document our special day and would recommend him to anyone looking for an incredible photographer!" "VMA Studios shows what professionalism should be on every level. Aaron is one of the highest skilled photographers in the industry. 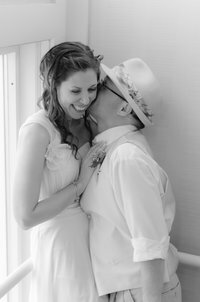 He works well with your event staff to create moments and take amazing pictures so that you can cherish your memories forever!" himself. My wife and I went from a feeling of panic and chaos, to a sense of relaxation. As Aaron quickly and effortlessly walked us through the setup process. It was the same when it came time for our wedding, and my wife and I couldn't have been more happy with the way Aaron and his team conducted themselves. Everyone that attended our wedding was so impressed by their skill and professionalism. The final edited pictures came out beautiful. We are so glad we hired VMA Studios to capture our special day. I highly recommend them for all types of event photography!" help grasp every moment of that day. He even stopped traffic so we could get a picture of us crossing the street like the Beatles!!! It was amazing! 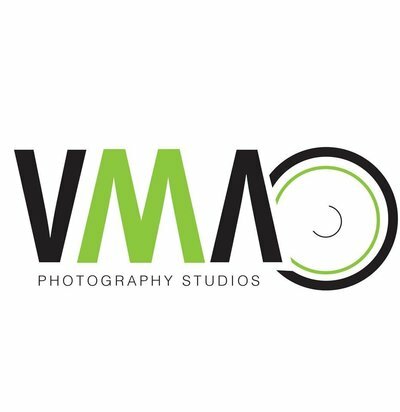 I highly recommend VMAstudios to all couples looking for the BEST way to capture all the precious moments of their special day! water for us while we shot in the heat! Cannot recommend them enough. Aaron has great vision for creativity!!" at a bridal show in Raleigh, NC. We instantly had a connection. His images were so powerful yet beautiful and he had my bridesmaid and I laughing and giggling within seconds of meeting him. From the moment I met him I knew I had to have him as my wedding photographer. I am so glad that I made the choice I did.He loves what he does and it shows through his photos. We just got back our engagement photos and I can’t even describe the joy in my heart. After watching the clip of photos I had tears running down my face. He captured the most magical moments in our session. My fiancé’s and I were so pleased with all of the photos. I can’t wait to share our special day with Aaron! If you are looking for a photographer look no where else! Aaron is your man!" would have not dreamed of. He also made our daughter feel SO COMFORTABLE!! She became another person in front of his Camera as he joked with her and encouraged her to have fun. Will be using him again for her senior portraits!" something that will last forever. I am so glad and honored that you shared your gift with me. When you did the photo shoot of me for the magazine. I look forward to having many flashes of memories captured by you for any special occasion ...and I believe everyday is a special occasion! Thx Aaron-truly! past Saturday and captured her personality! He meshed with our family like he was one of our own! I highly recommend him for event photography and I will definitely be using him again!!! 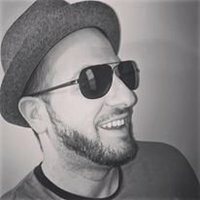 :)"
"As a wedding DJ and Photobooth business owner, we see a lot of bridal pictures that at times, don't come out that great. That is one of the most important things you will have for memories after your big day. selves! From the pre shoot where Aaron took my crazy ideas and made them into truly pieces of artwork. To my mitzvah photos and video that make me relive the best night ! 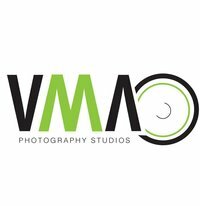 I highly highly recommend using VMAstudios!" all of his work. Our guests also loved him. 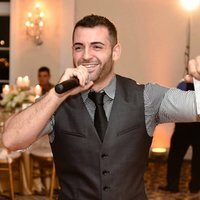 I highly recommend Aaron for any event. You won't be disappointed. Thanks again!!!" we were blown away from the minute we met him. Looking at all the albums and hearing his enthusiasm for each picture he took we knew, Aaron and VMA Studios would be the perfect fit. We got in the car and I think it took me about 5 minutes to call and say put together the contract. From signing the contract to getting our Album, everything was so easy and made the experience amazing. The pictures tell the whole story from beginning to end of the night and made picking which ones for the album so hard because each one was amazing. I highly recommend anyone to book Aaron and VMA Studios for their next event. You will not be disappointed." afraid to go the extra mile to get that perfect pic (literally got in the pool with his clothes on to get amazing shots)! Super talented and definitely exceeded our expectations (and we have some high expectations...🙂)! Thank you so much! Can't wait to see the rest of the pics and the videos!" Aaron and his team are amazing. 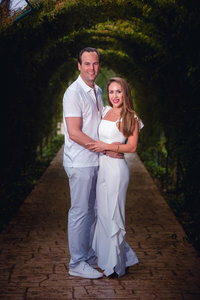 I've seen them take care of my brides and provide them with the best wedding photography experience! They do much more then just take pictures..they have that ultimate look, the personality, the talent and that is why they are at the top of our recommended vendor list for wedding photographers." "Two weeks before our wedding, we were left without a photographer. From a friend, I was referred to Aaron from VMAstudios Studios. And within minutes of leaving my contact information through the website, I was contacted by Aaron himself. My wife and I went from a feeling of panic and chaos, to a sense of relaxation. As Aaron quickly and effortlessly walked us through the setup process. It was the same when it came time for our wedding, and my wife and I couldn't have been more happy with the way Aaron and his team conducted themselves. Everyone that attended our wedding was so impressed by their skill and professionalism. The final edited pictures came out beautiful. We are so glad we hired VMA Studios to capture our special day. I highly recommend them for all types of event photography!" "I can’t say enough about Aaron. He has made this journey so amazing and we’re only half way there. He lights up the room as he walks into it. His personality and his big heart makes him the best. I couldn’t imagine not having him as my photographer. I met him at a bridal show in Raleigh, NC. We instantly had a connection. His images were so powerful yet beautiful and he had my bridesmaid and I laughing and giggling within seconds of meeting him. From the moment I met him I knew I had to have him as my wedding photographer. I am so glad that I made the choice I did.He loves what he does and it shows through his photos. We just got back our engagement photos and I can’t even describe the joy in my heart. After watching the clip of photos I had tears running down my face. He captured the most magical moments in our session. My fiancé’s and I were so pleased with all of the photos. I can’t wait to share our special day with Aaron! If you are looking for a photographer look no where else! Aaron is your man!" 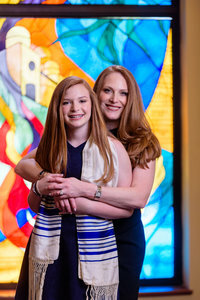 "Picking a photographer and videographer for my oldest child mitzvah is daunting enough. Finding a photographer that blew me away I thought would be impossible. Aaron and the whole team outdid themselves! From the pre shoot where Aaron took my crazy ideas and made them into truly pieces of artwork. To my mitzvah photos and video that make me relive the best night ! 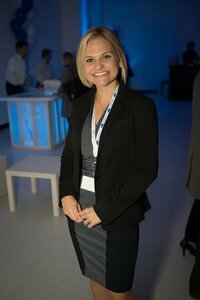 I highly highly recommend using VMAstudios!" "Aaron is a true professional and a pretty awesome human! I photographed my daughter Kalena's first birthday and it was an absolute nightmare for me. Aaron took all the stress away, at her 2nd birthday this past Saturday and captured her personality! He meshed with our family like he was one of our own! I highly recommend him for event photography and I will definitely be using him again!!! :)"